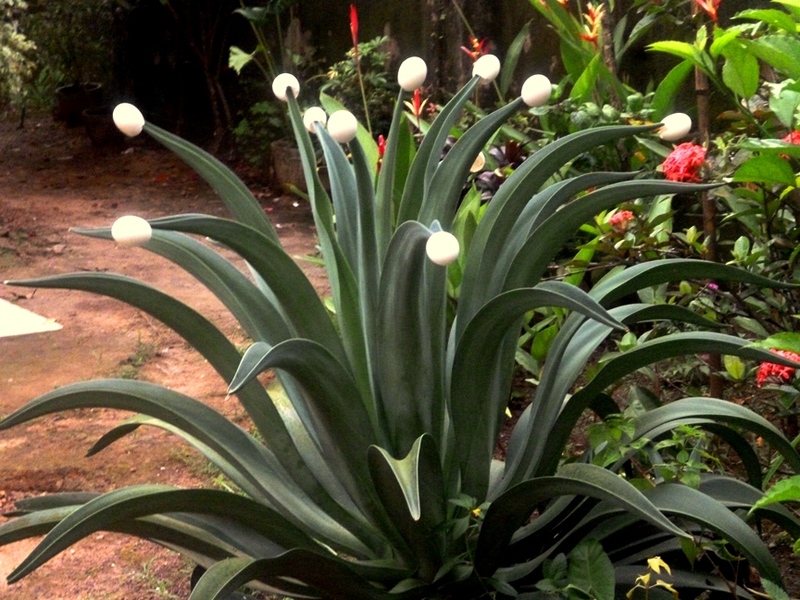 This is the fascinating Aloe Eggplant and is a wonderful plant remedy. This is not to be confused with the Aubergine Eggplant – which is pretty obvious as it is a different colour anyway! The Aloe Eggplant is so named for it’s shell-like blooms which crack open to reveal a wonderful yellow centre. These plants are best found in the shade as although they will thrive in most places, if they sit in the sun for too long the blooms will fry so that often when they open there will be a greyish blue hue around the yellow centre. This plant is used to reduce high cholesterol and lift your spirits. This entry was posted in 2013, Comments, Goa, Health, Holistic, How to, India, Life, Mother Nature's Magic, Travel, Uncategorized and tagged after the fall, As the world turns, born to be wild, customer service, eggplant, happiness, health, holistic, India, infinity, laughter, learning, listening skills, love, music, new age ideas, peace, preserving, reiki, trust, universe, yolk. Bookmark the permalink.